Speak 2013 launches on Wednesday, October 2nd! Happiest Monday to all our followers and supporters! Speak Up 2013 launches October 2nd! This week is an important week here at Project Tomorrow and at schools and districts across the nation…Do you know why? That’s right, you guessed it! Speak Up 2013 is just about here! The 2 day countdown is on. Speak Up 2013 officially launches on Wednesday, October 2nd! 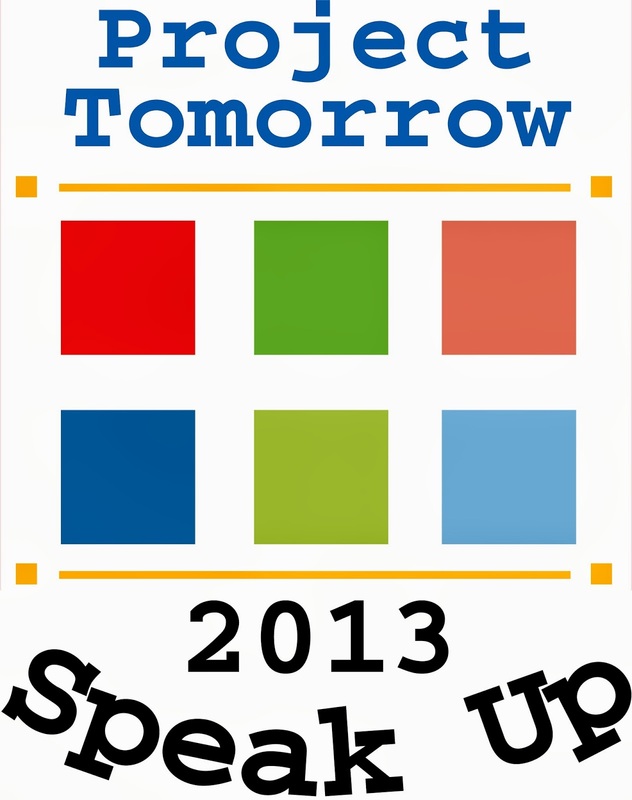 There is still time to register your school or district in Speak Up 2013. Registration can be found here. Be sure your school/district has a primary contact registered so that your data results can be viewed in February 2014. This year, no password is required for educators, but a student password is required, and can be created by the main/primary contact. Where can I learn more about Speak Up? Click here. What are some of the few question themes on this year’s survey? Blended and flipped classrooms, digital footprints, attitudes toward technology, and digital games are just a few of the themes on this year’s surveys. Moreover, this year, we have a new community members survey. These surveys are meant to be taken by anyone in the community who wants to voice their opinions concerning technology in education. Spread awareness surrounding Speak Up 2013 using our handy and convenient promotional materials which can be found here. During the survey period, get the latest updates by following us here on this blog, twitter, and facebook. Who will be speaking up on Wednesday, October 2nd? Be sure to let us know in the comments. This entry was posted in Speak Up and tagged Blended Classrooms, Flipped Learning, Julie Evans, K-12 education, Project Tomorrow, Speak Up, Speak Up 2013, technology on September 30, 2013 by Project Tomorrow.